My aunt recently found a few of my grandmother’s recipes. That might not sound like a huge deal, but I’m more excited about that than I would be if someone found those sapphire earrings Nana always wore that she totally said I could have, though no one remembers that except me. These are recipes that she’d hand-written and the ones behind some of the amazing food she’d made. Given the fact that we only ever come close to recreating her famous recipes, this find is akin to striking gold as far as I’m concerned. Well, even better, since those sapphire earrings are also set in gold. I don’t love raisins but I feel obliged to do as Nana would have, so I added them as instructed. If you told her you didn’t like raisins either, she would tell you that you could omit them. But she would also tell you this chutney is nice with raisins and she would giggle, at which point, you might add them anyway. Her laugh was way more sparkly than any gemstone, ever. 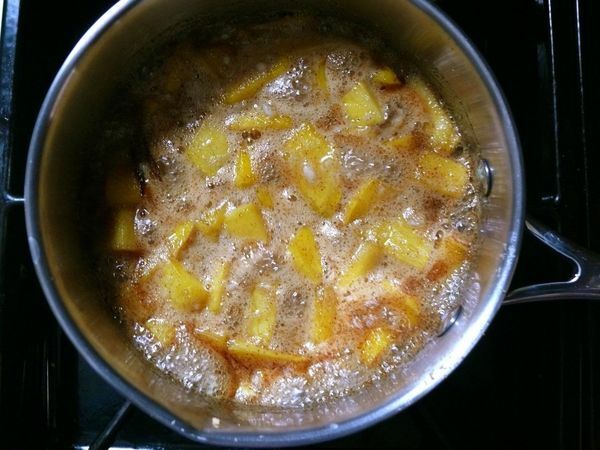 YS note: To make peach chutney, follow the same recipe but use firm peaches. Add all of the ingredients except the raisins to a small pot and mix well. Bring to a simmer over medium-low heat and cook for 20-30 minutes, stirring frequently. 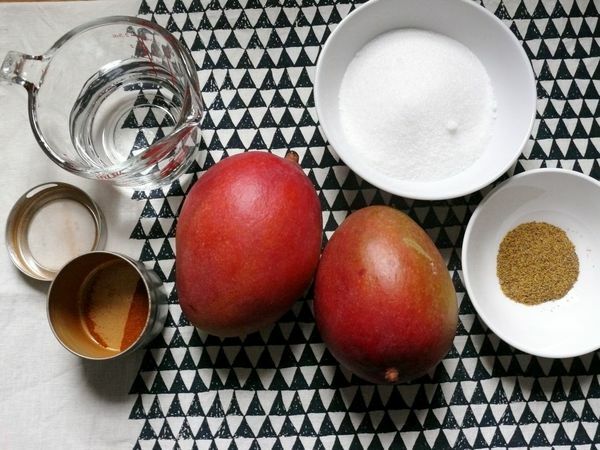 When the fruit starts to break down, and the mixture darkens, press some of the fruit into the sides of the pan with the back of your spoon. Add raisins and stir well. Remove from heat, carefully remove and discard cinnamon. Transfer to a heat-proof jar and let cool completely. Ready to eat now and will keep for a couple of weeks, refrigerated.